NOTE: Late post; was to busy to add photos in this post, so I waited 10 days before posting this… still worth a post me thinks. Truth be told, my family in general, don’t go out much as we all like staying at home more often. Well that is more true to me and my dad, we would rather stay at home, so on those rare moments when my sister and mom wants to go the Manila just to relax and shop around, I decided to go along with them. Of course, my dad was still stubborn and wanted to stay at home, plus he is usually paranoid leaving the house with the house help or alone altogether, thus, even if he did join us, he’d be thinking about the safety of our house. Also of note, my eldest sister can’t join us, because simply, she is in the States. Speaking of not going out a lot, I haven’t really gone out since the last time I hung out with my classmate/brother from medical school and the fact I needed new shoes cemented my going to Manila with my mom and sister, in fact, it took me 30 mins before they were about to leave for Manila to decide to go along with them. That is how I am so undecided I am when it comes to going out of the house at times. 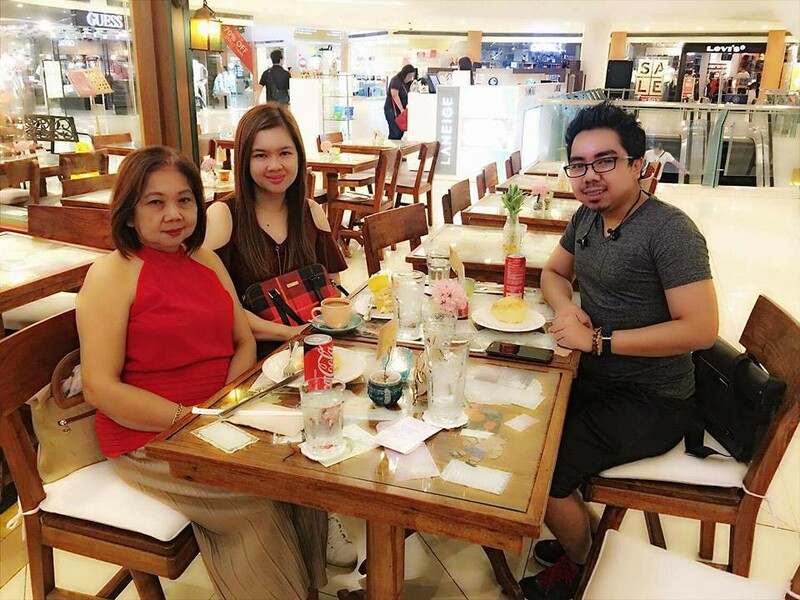 We ended up spending the entire day, well entire day meaning up until 3pm (cos we really got tired fast), in Trinoma, first grabbing a small bite to eat. Per usual in this day and age, a photo before digging in our food is a must. Afterwords, since I am still more into my hobbies than I am shopping for clothes or what not, I split from the group for the most part. Looking for strange gadgets that I can use or action figures that I need to complete my collection, but ended up empty handed, I shifted my attention to shoes. 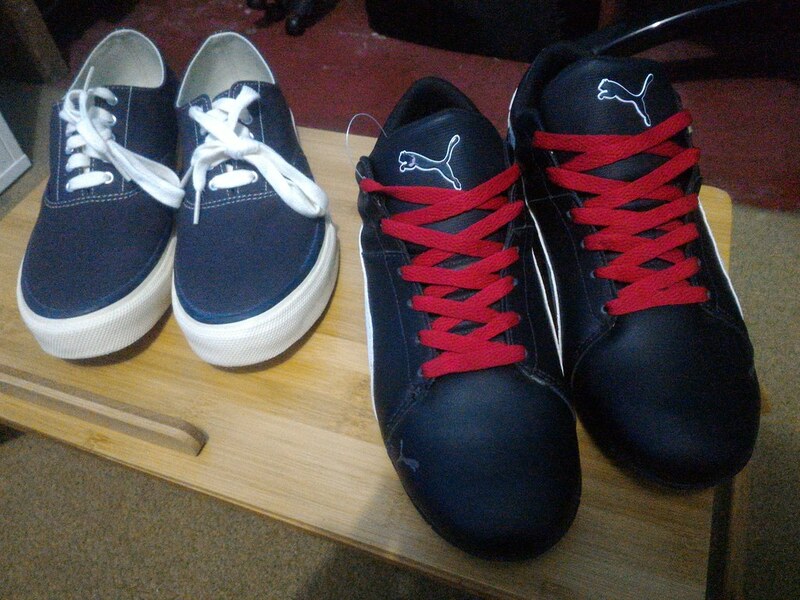 It took awhile, but I found 2 pairs of shoes (1 for work and the other for casual occasion; the latter doubles as a means to show that I am a motorsports fan and it can also be used for my simulator). I am glad to have them, but of course, being a geek, I was later saddened as I felt it was a waste of money; yes, I can easily spend 20,000-40,000 on a single PC part but I go nuts for 5000-8000 worth of 2 shoes and several clothes. After my stint of looking for shoes and clothes, I was all tired out, so I sat down most of the time. Obviously, since my knees are still not up to scratch and standing/walking for long periods/distances will cause my knees to ache and start to shake enough that I feel as if my knees will pop again like they did before (my right knee was operated on). Resting up a bit and got the stuff I want (apart from the geeky stuff), I caught up with my mom and sister to have lunch. We then went our separate ways again to shop a little bit more, though I for one can’t find anything interesting anymore, and it was obvious that the 3 of us were already tired, so it wasn’t long til we decided to go home. Thankfully it wasn’t traffic on the way home and we arrived safely at home by 4:30pm after leaving Manila around 3pm. Previous PostAssetto Corsa Quickie…Next PostBurning Out?